Devious Maids is premiering on Lifetime tonight. And I am split two ways. The happy Puerto Rican flag-waving me is super excited to have a show that is starring a ton of Latina actresses I know and love (Ana Ortiz! 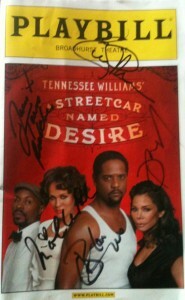 Judy Reyes!) and other Latina actresses I don’t know but am looking forward to love. I’m equally excited that Longoria is executive producing the show, because it’s just as important to have brown people in charge behind the camera as well as in front of it. It’s also great to see a new prime time show that is based on a novela (and captures the novela sensibility), which I haven’t seen since Ugly Betty. But the angry ¡Viva la Revolución! activist me isn’t completely comfortable with having the all-star Latina cast playing only maids. I’m even less comfortable that the cast of Latina maids is cleaning the homes of a cast that is only white. As Alisa Valdes points out in her blog post about the show, the original novela had Latinas working for Latinas. The American version does not. With this racial divide, Devious Maids is conflating class and race in a way that’s problematic in an already racist society. It would be interesting to see what an exchange would be between one of the Latina maids and her employer if her employer was also Hispanic. Which is something that *gasp* actually happens in the United States. It’s also disheartening to see actresses like Judy Reyes (who played a nurse in Scrubs) and Roselyn Sánchez (who played an FBI agent in Without a Trace) have to revert back to stereotypes in Devious Maids. Do I blame any of the Latina actresses for taking the gig? No way. I’ve auditioned for and have played my share of maids on stage, and if Marc Cherry called me in for an under 5 scene with Susan Lucci, my only answer would be “Where do I sign?” And like Eva Longoria has said in the defense of the show, there is nothing wrong with showing the stories of maids, as that is a truth to Latinos in the United States and is nothing to be ashamed of. Yet there is a sense of shame where this show is the main event for Latinos on TV. That it’s not one of many other shows debuting tonight (or any other night) with an all-star Hispanic cast. (You know, like the many shows that premiere every year with an all/mostly-white cast.) That there aren’t so many television shows and movies that show Latinos of all ages, ethnicities, and professions—with only a small number of those shows and movies featuring them as the help. Over the hurricane break, I caught up on my reading. And as the oncoming storm threatened to take over the city, I officially finished the entirety of Stephen Adly Guirgis’ published plays. 1) He is a master of the English language. His prose is exciting, raw, and poetic. His dialogue is a perfect blend of the beautiful and obscene. Want to see it in action? Read Boochie’s monologue in Den of Thieves. 2) The Last Days of Judas Iscariot. 3) Oh, you wanted me to elaborate? Okay, this play is one of my favorites. Ever. Last Days imagines that Judas’ case of betrayal is finally put to trial, with Sigmund Freud, Mother Teresa, and many other witnesses–biblical and otherwise–testifying and appearing in flashbacks. Last Days is the ultimate dramatization of justice. Judas’ final scene with a certain savior is so poignant it hurts. Andrew Lloyd Webber, read ’em and weep. 4) Guirgis reinvigorates life into the contemporary American play. You won’t find too many overwrought scenes taking place in living rooms in his plays. Guirgis places his characters in motels, funeral homes, basements, bars, correctional facilities, hospitals, and the afterlife (and there are a few living rooms, too). He creates fully realized worlds and isn’t afraid to populate his plays with larger casts of characters. Guirgis’ delicate balance of tragicomedy makes him able to tell a story with brilliant humor and heartbreaking depth. When you’re in a Guirgis play, there is never a dull moment. 5) His New York is for the natives, a refreshing take from all the white twenty-something newcomer to the city narratives. From the displaced-by-Disney Times Square denizens of In Arabia, We’d All Be Kings to the grieving, fractured Harlem community in Our Lady of 121st Street to the Bronx hospital workers in The Little Flower of East Orange, Guirgis’ diverse cast of characters occupy a very real, very special part of New York City. Guirgis not only sheds light on a very troubling aspect of contemporary theatre, but offers hope for the future. And it’s f@*king amazing. Is the Royal Shakespeare Company Racist? The internet has blown up in recent hours about my favorite British theatre company, the esteemed Royal Shakespeare Company. 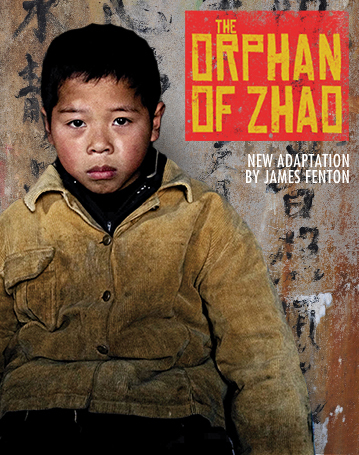 They decided to produce a centuries old classic Chinese play The Orphan of Zhao, which takes place in historical China–the Yuan period, to be exact. The company did so with a very diverse cast–so diverse that the leads were white, and the 3 Asian actors that were cast (out of 17 total actors) play dogs and a maid. So we already have some well worn racist tropes here: white washing, yellowface, etc. — in spite of the fact that the artistic director, Gregory Doran, really wanted an authentic production, even going to modern-day China to be as authentic as possible, for an authentic production in every way–except to cast Asian actors in leading roles.After the backlash occurred, the RSC put a statement on their Facebook page to explain the “Twitter debate.” Since they were casting a repertory season with rotating actors, it was necessary to have a group of actors who would fit right with all the shows that season. First off, the assumption that a large number of Caucasian actors could play historically-accurate Chinese (and Caucasian of course), is there. And naturally, the talent wins out: the actors they chose were the best possible. We’ve seen that argument again and again (just put Jennifer Lawrence in a wig to play a darker skinned girl–she was an Oscar-nominated actress!). The RSC rehashes that sentiment, saying, “We cast the best people available for the range of roles required.”That may be true, as there are a huge amount of talented actors out there who could play any role with dignity and grace. 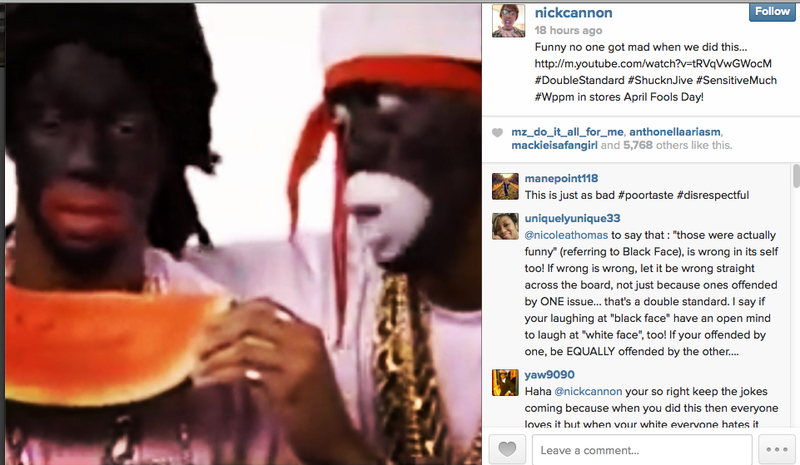 But while this philosophy goes unchecked for white artists, artists of color don’t get the same distinction. In a hypothetical Western revival of Amadeus, you wouldn’t immediately think of an actor of Indian descent to play the Austrian Mozart. And as a community of artists, writers, theatergoers, and critics, we have to understand that this construct exists, that it is an artificial one rooted in racism and privilege, and we must constantly work to address it. Such an address is not “moaning,” as one Facebook commenter wrote on the RSC page, but an honest appraisal of how we make art be as meaningful as it can be. This of course, is by no means easy. It’s hard to chuck one’s privilege out the door, and recognize one’s mistakes, no matter how well-intentioned. It’s especially upsetting since the RSC has a long history of “non-traditional” casting, with actors of Asian and African descent playing leading roles in productions of The Taming of the Shrew, A Midsummer Night’s Dream, and many other Shakespearean plays. 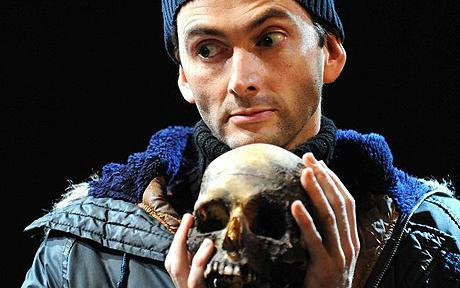 They even cast a two-hearted extra-terrestrial in a West End production of Hamlet to play the eponymous tragic hero. Gallifrey finally getting represented in Western drama. Even more importantly, we need to be aware of this disparity as people. The RSC said in their statement that the “multi-cultural make-up of our winter season company reflects British society.” This is how the art-reflecting-life continuum comes into play. If we have these conflicting views about race in our theatre, then it is even more crucial an issue in our lives beyond the stage. I wrote a review for Broadway Informer for this season’s revival of A Streetcar Named Desire. Here it is! This latest production of A Streetcar Named Desire is severely underrated. Many critics have had visions of Vivien Leigh, Marlon Brando (the stars of the 1951 film) and Cate Blanchett (who played Blanche in the 2009 revival at BAM) dancing in their heads and could not appreciate the production with a fresh eye. Yes, this Streetcar takes a departure with its multiracial cast. Produced by the same company that brought an all-black Cat on a Hot Tin Roof to Broadway in 2008, Streetcar’s ethnic ensemble includes Nicole Ari Parker as Blanche, Blair Underwood as Stanley, and Daphne Rubin-Vega as Stella. Parker’s Blanche was revelatory. Her strength in the role made sense, as she had lived alone for many years harboring her secrets before coming to Stanley and Stella’s home. Only now does her resolve begin to crumble, and it is a sight to behold. The other cast members also deliver solid performances. Underwood’s Stanley (née Kowalski, as the production excises references to his Polish background) is equal parts menacing and captivating (he also looks great shirtless). And Rubin-Vega takes a capable turn as Stella, providing the balance to Blanche and Stanley’s extremes. The very existence of this production is fabulous. A recent survey of Broadway and leading nonprofit theater companies found that in the past five theater seasons, only 13.2% and 3.5% of African Americans and Latinos were employed. This production helps to alleviate that problem. It also gives deserving actors an opportunity they would not have had otherwise. Far more than a novelty production, this revival of Streetcar is an exciting production in its own right, bringing a new and refreshing take on a classic. Favorite scene/song: The birthday scene. The tension was high, and I got a real sense of the dynamic in Stanley’s household. What is the show about? The tragic destruction of a Southern belle when she goes to stay at her sister and brother-in-law’s home. Who is this show for? Theatergoers and Williams fans interested in a new take on Streetcar, as well as young audience members needing an introduction to a classic. What’s good/bad? Besides the acting described above, the direction by Emily Mann, and the set design by Eugene Lee is great. I also enjoyed the production’s attention to bringing out the humor of the play. The only quibble I had was Blanche and Stanley’s pivotal scene (those who are familiar with the play know what I’m talking about). Despite all the build-up, it had high shock value and not as much emotional impact. What happened at the Stage Door? We had to wait a bit longer than usual because the director was giving the cast notes. Almost everyone came out to sign playbills and take photos, and they were all very kind and gracious.